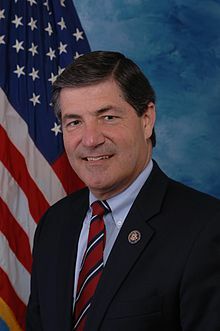 PA-6 Congressman Jim Gerlach (R-Chester) will not seek reelection in 2014. His campaign manager Vince Galko confirmed that Gerlach is not going to enter the Republican primary for governor against Tom Corbett. Gerlach was a Democratic target in 2012, but redistricting made his seat even safer for the Republican, but from the 2002 until the 2010 election, Gerlach’s district was one of the nation’s most competitive. In his first four elections, Gerlach never won with more than 52.10%* of the vote but as long as Gerlach held the seat, it was safe for Republicans. After redistricting, the district shed heavily Democratic territory in Lower Merion Township, Coatesville, Norristown, and its portion of Reading; at the same time, it gained heavily Republican portions of Berks and Lebanon Counties. In 2012, Gerlach was re-elected easily, winning a decisive 57.19% of the vote over Dr. Manan Trivedi. At the same time, Mitt Romney carried the 6th district with 51.32% of the vote. Republican names already rumored to be seeking the seat are Chester County Commissioner Ryan Costello, former Senate candidate Sam Rohrer, who lives just outside the district, and State Senator John Rafferty. 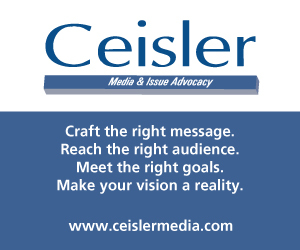 Senator Bob Casey’s brother, Chris Casey lives in the district and may seek the seat. First of all, the new 6th District is only 25 percent Berks Co., so how does that help Sam Rohrer? Sam had a seat that he could win and he willingly gave it up. He should run for Robeson Township Commish, he could win that, but the perks and pay would not be up to what he has become accustomed to. Secondly, I am sick and tired of the TRUE conservatives who post here complaining about RINOs. My suggestion is why don’t all the true conservatives put their money where their mouths are; form a Conservative Party and only admit TRUE conservatives as members and candidates. I am sure that Beck, Bob Durgin, Hannity, Coulter, Koch Bros., Rusty Limbaugh, etc. would be more than happy to provide millions and millions of dollars in funding for Conservative Party candidates. Thank you for your many years of service Congressman. Best of luck with your future endeavors. Comments and people like Pat Sellers (above) insure that many good people don’t care to get into politics, for fear of having to deal with all the morons out there. Sorry, whomever whispered my name may have been drinking (heavily) at the time. Fixing things locally is a priority to me. Local politics are the breeding grounds for what eventually goes to DC. Better people at home gets better people throughout the higher levels of government. Trickle up theory? Maybe I’m just an idealist. That being said, I think John Rafferty would be a great candidate for the position and would be happy to work on his campaign if he decides to run. I would love to see Costello move into Rafferty’s position in the event of a win but would hate to lose him as a Chesco Commissioner. Sam Rohrer is a nice fellow but not a serious candidate for any public office. Senator John Rafferty is an excellent State Senator and would be a huge asset to Pennsylvania as a member of the US House. Sam can WIN if he decides to run, lots of berks co. is in the 6th now and he beat the endorsed one from Chester co. in the senate run, people are wising up for such a time as this. Two other GOP-names whispered to me are Barry DiLibero and Jonathan Jenkins; regarding some other comments, it is possible that people who had said they weren’t interested in competing with Gerlach may suddenly want to seek an open seat. Now that the seat is open this would be a great seat for Rep. Rozzi to run for. I love him as my Rep!! I’d love to see a real progressive like him in there! Gerlach is a coward who wouldn’t have a town hall with his constituents. Too bad he didn’t do this years ago. Too bad he will keep sucking on the people’s teat with pensions and Cadillac healthcare. He knew he couldn’t win again. Apparently, Gerlach had already received a primary challenge from some “businessman” named Mike Parrish – anyone know anything about him? Rafferty can’t run – his district would go blue. His district was gerrymandered very little because they thought he could hold off any D challenger. But if Gerlach is replaced with a teabagger candidate, that race is way up in the air! I remember meeting Sam when he was running ~4 years ago and asking him a question regarding ObamaCare’s constitutionality; he was thoughtful and added a consideration regarding the Commerce Clause that I hadn’t weighed [Article I Section 8]. It didn’t turn-out to be a force in the Roberts opinion, but it did convey the impression that he knows his stuff and he is eager to share; I’m told that he enjoys his work, however, and may not wish to campaign. I met John Rafferty a month ago @ the GOP Committee-Person convention and found him to be extremely helpful in amending a bill that would mandate Holocaust/Genocide/Human-Rights education; he was a man-of-his-word [after he had researched the issue] and–following a chat with Mike Vereb, led the effort to “get this thing done” by supporting an amendment in the Senate Appropriations Committee that changed “may” to “shall”…and thereby mandating the education transpire. I must add that, if memory serves, he was being touted to run for AG until Corbett pushed Freed, two years ago; it would appear (although Guzzardi hasn’t “weighed-in”) that he is not part of the “insider network” but relates with it (in a fashion comparable to how I have noted Mike Vereb interacting). Finally, those with long-memories may recall that Curt Schroder was the front-runner for this nomination in 2010 [notwithstanding Steve Welch, whose smarmy video defending GOP Back Room Politics explains why I repeatedly expressed disdain for his existence DIRECTLY to him, whenever he couldn’t be avoided]. 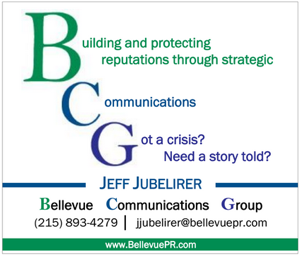 Again, I’m told he is a happy camper as Senior Vice President at The Hospital & Healthsystem Association of Pennsylvania; nevertheless, he was perceived as “next in line” by the great majority of Committee-People in Chester County and, thus, should be perceived as a possible-candidate. Rafferty would be a good get for the Rs. His district contains a lot of the 6th. Also, I bet the SDCC would love him to run. His senate district should be competitive, if open. See ya dont let the door hit ya on the way out…..
Republican names already rumored to be seeking the seat are Chester County Commissioner Ryan Costello, former Senate candidate Sam Rohrer and State Senator John Rafferty. Two empty suits and one full-blown wingnut.